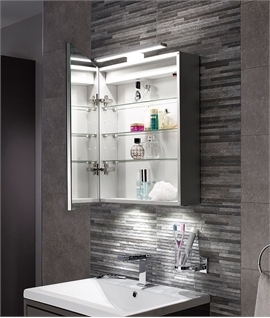 Bathrooms are stripped down rooms, few soft furnishing, lots of hard surfaces and a fair collection of glass, chrome, and other shiny white surfaces. 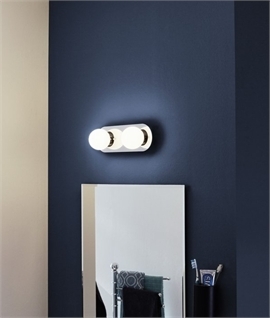 Ensuring the lighting is right in your bathroom is important because getting it wrong could be something that you have to live with every day. Balance is important. 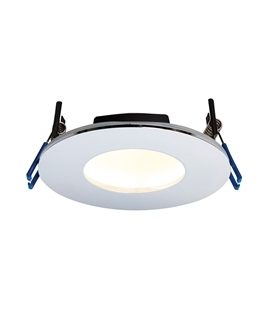 Aim for general lighting that provides good light levels with a wide distribution of light. 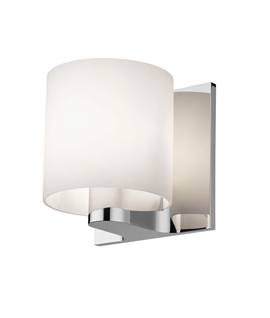 In a smaller bathroom this could be a single light fixture, whereas a larger room would benefit from a dozen downlights. 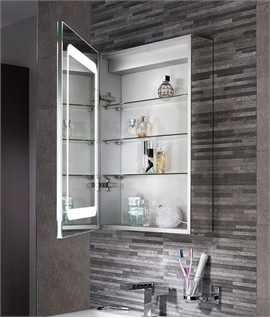 Regardless of whether a shower is enclosed or part of a wet room similar rules apply. 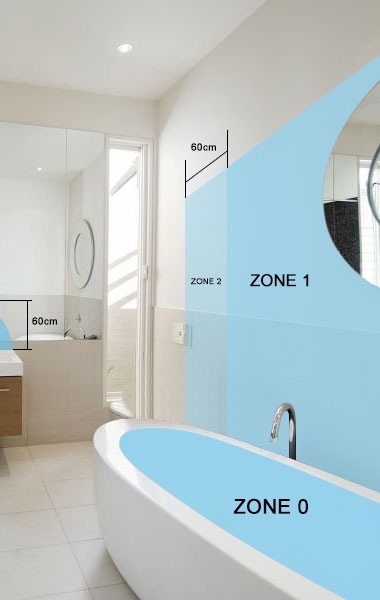 The walls directly next to the shower are regarded as Zone 1. 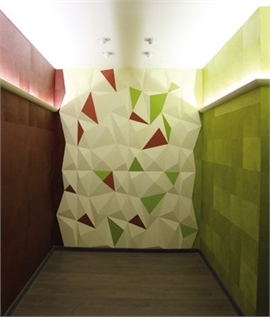 This extends to a height of 2.25 metres from floor level. 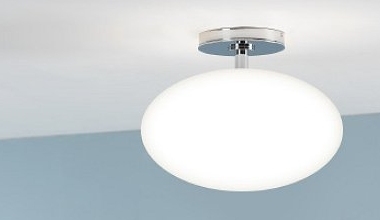 In this area any light fixtures must have a minimum ingress protection of IPx5. 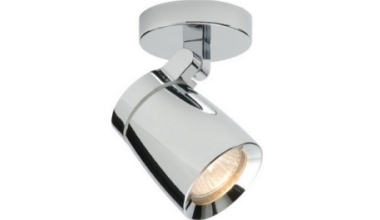 In wet rooms with a wall fixed shower head the wall is regarded as zone 1. 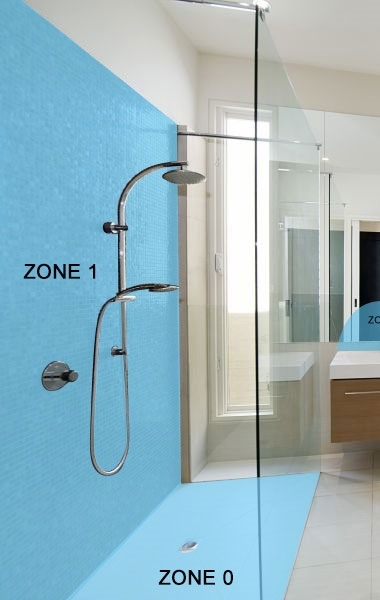 The zone extend 1.2 metres to the left and right of the shower head. 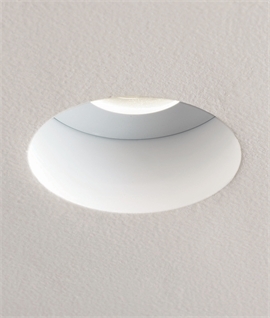 On the floor (and up the wall to a height of 150mm) is regarded as zone 0. 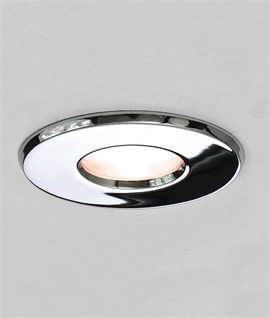 In zone 0 we do not support the use of anything other than lighting specifically designed for use in a bath or jacuzzi. Adjacent to the vertical boundary of Zone 1 is regarded as Zone 2. 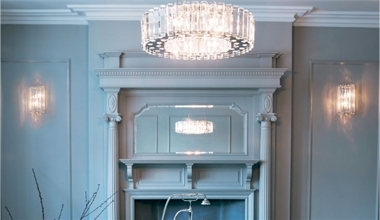 This also extends 2.25 metres above the finished floor level. 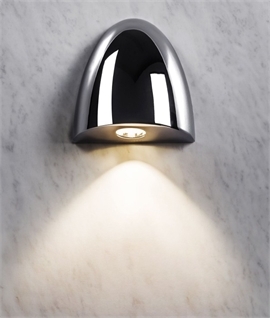 In zone 2, like zone 1, any light fixtures must have a minimum ingress protection of IPx4 (or IPx5 if there is a likelihood of water jets being used for cleaning). 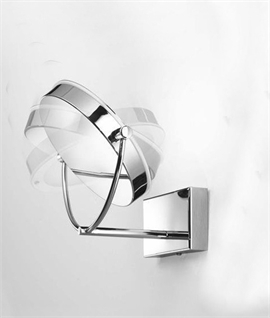 An exception to this requirement is a shaver supply unit complying with BS EN 61558-2-5 which, although it does not meet the requirements of IP4X, is permitted in zone 2, but must be positioned where direct spray from showers is unlikely. 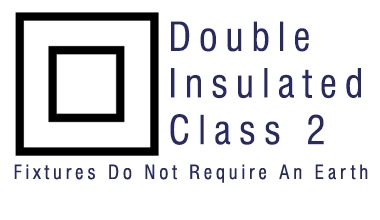 Regulation 701.411.3.3 requires that additional protection shall be provided for all circuits of the location by the use of one or more RCDs having the characteristics specified in Regulation 415.1.1. This was a significant change introduced by the 17th Edition. 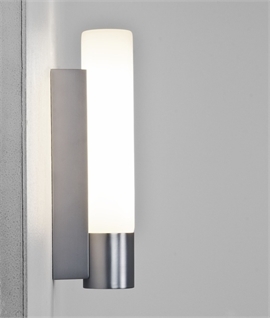 This means that all circuits, including lighting, electric showers, heated towel rails, etc. 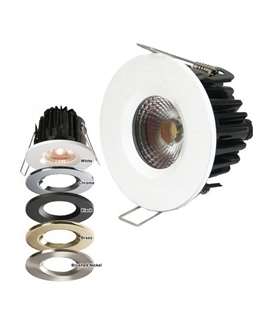 requires RCD protection not exceeding 30 mA. 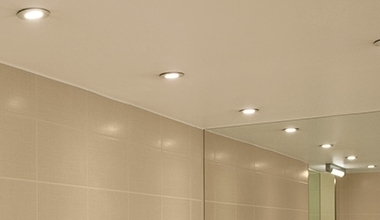 IEE Wiring Regulations - Bath tubs. 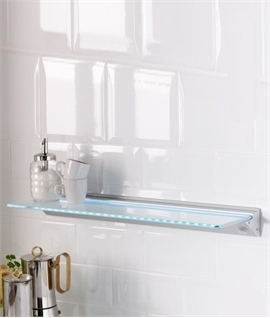 Regardless of whether a bath is free standing or against a wall similar rules apply. 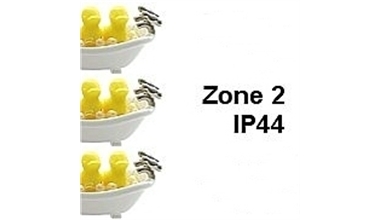 The area directly next to the bath is regarded as Zone 1. 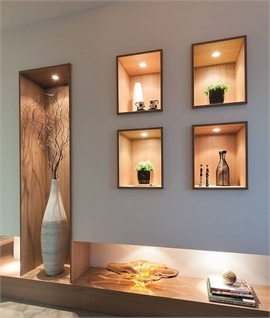 This extends to a height of 2.25 metres from floor level. 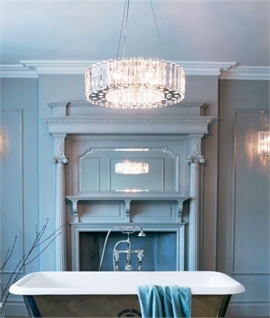 With freestanding baths the wall below the top of the bath is also regarded as Zone 1. 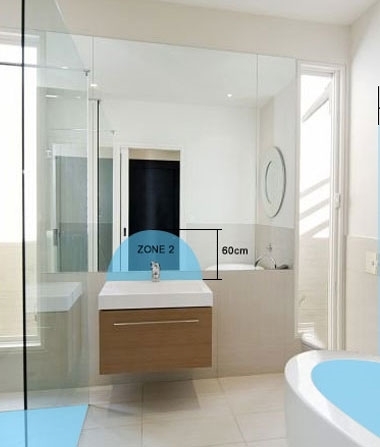 In enclosed baths the area below the bath is considered outside of any zones. 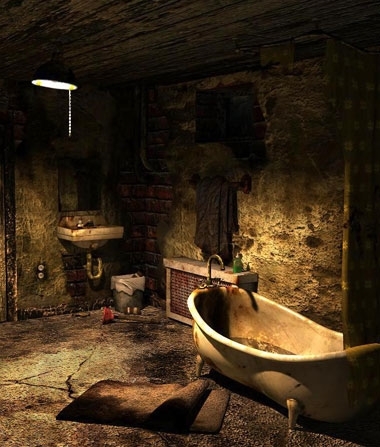 Inside the bath is zone 0. Any fitting used here must be SELV (max. 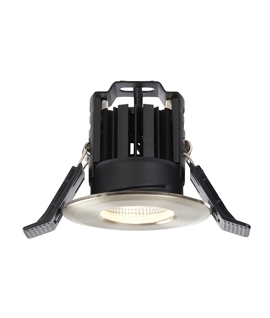 12V) and a minimum of IPX7 (protected against immersion in water. 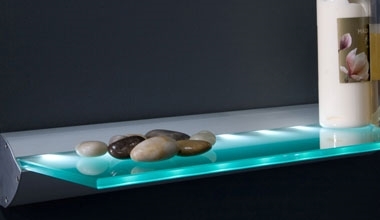 We do not support the use of anything other than lighting specifically designed for use in a bath or jacuzzi in zone 0. 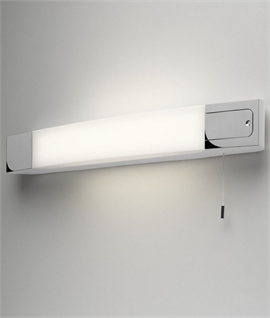 In zone 2, like zone 1, any light fixtures must have a minimum ingress protection of IPx4 (or IPx5 if there is a likelihood of water jets being used for cleaning). 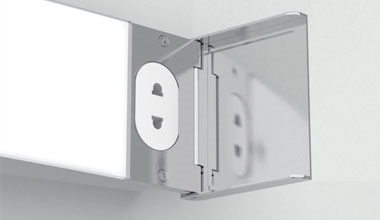 An exception to this requirement is a shaver socket complying with BS EN 61558-2-5 which, although it does not meet the requirements of IPx4, is permitted in zone 2. 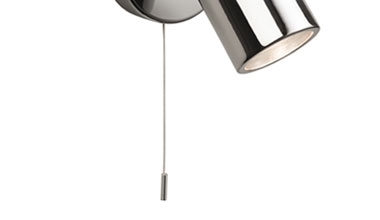 Any socket must be positioned where direct spray from showers is unlikely. 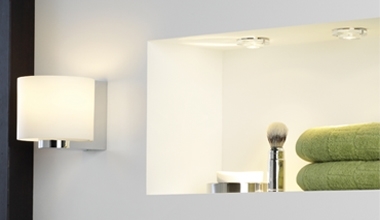 Everyone loves to look their best and this illuminated vanity mirror helps both men and the women. 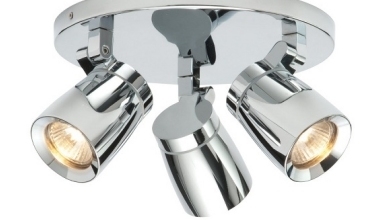 Used to shave by it illuminates the face helping you see all those stray hairs and fine hairs that would otherwise go unnoticed. 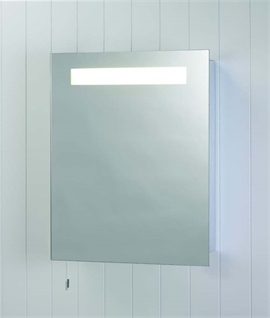 Women love using this illuminated mirror too as it allows you to see your face close-up, in a good light making the application of make-up so much easier. When you step away from the mirror and look in a normal magnification mirror you can’t believe how well applied your make-up is! Also it’s great for plucking your eyebrows, bit scary at first as you can see all of them but satisfying to know you’ve got all the stray ones. There are some women who don’t like looking at themselves close-too but heh isn’t it better to see properly when making yourself up? Nothing worse badly applied make-up and tide-marks! 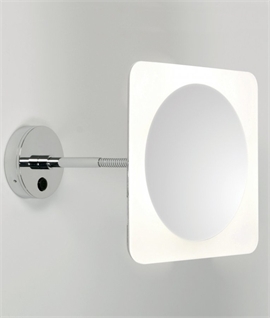 However having said all that about illuminated vanity mirrors, if you’ve a teenager in the house (especially a girl) you’ll NEVER get to use it yourself! 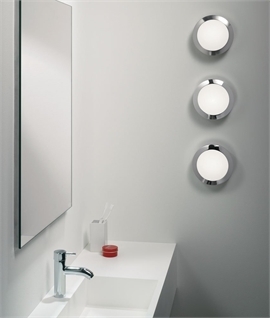 It is good practice to consider the area around a wash basin, within a 60cm radius of any tap to be considered as zone 2. This is not regulation. 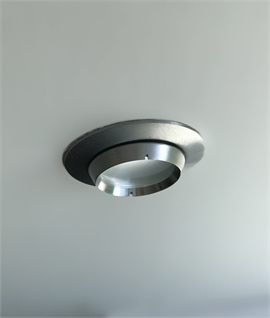 However practicalities would suggest that any light fixtures used in this loaction should have a minimum ingress protection of IPx4 (or IPx5 if there is a likelihood of water jets being used for cleaning). 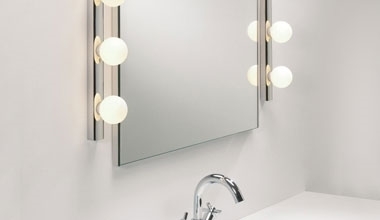 Everyone likes to see how they look in the morning and the bathroom mirror will be the first place you will catch sight of yourself. Those who tell you otherwise will be fibbing, we all secretly like to check to see if another wrinkle has crept in overnight or if our hair is sticking up like a baboons. 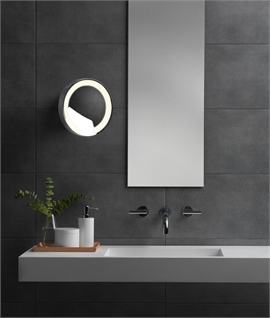 If the bathroom has an illuminated mirror or cabinet, you can see straight away all the crooks and cranies of your face and hopefully still love what you see! 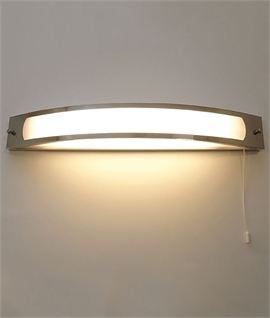 Either of these fixtures will provide a good source of light to what can be the smallest room and you will be able to put right all the wrong that happened during the night! 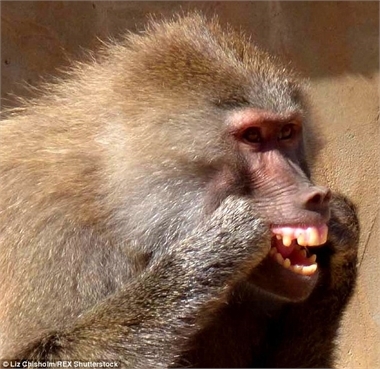 And, if you have an illuminated cabinet, you can easily find face cream, a comb, hair gel and in no time you will go from baboon to beauty in a flash. Make mornings a happy time and never believe your friends when they tell you they wake up looking great EVERY morning - now they are fibbing! 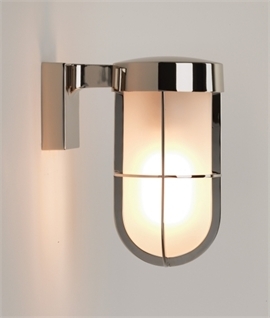 Bathroom Lighting Design. Where To Start? 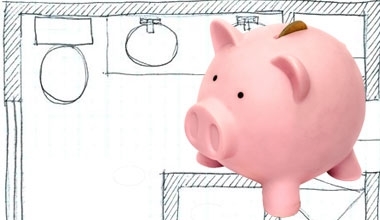 So you have spent what usually amounts to a large amount of money to ensure you have a great bathroom and now you need to add the lighting. 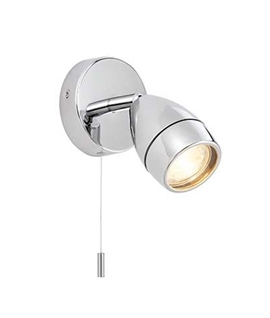 Those bare bulbs, dusty pleated shades and cheap glass bulkhead lights should not be appearing in a modern, clean and stylish bathroom. 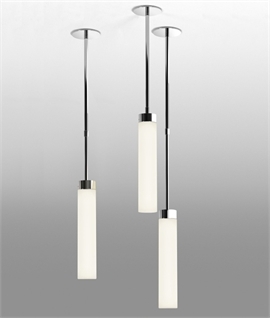 With a little guidance you can obtain lighting that not only looks fantastic but also provides the right lighting for your space. 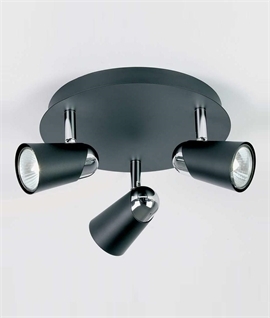 Many of Lighting Styles customers are looking for design advice and we are happy to offer that service at no extra cost, give the sales team a call or simply read through our pages for help and advice. Here is our recommendation. First start with a clean sheet ignoring the wiring and its existing locations. 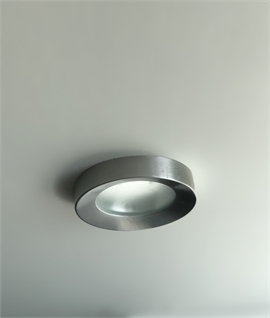 Think about where you would like the light in your bathroom to be and leave behind any preconceptions as recessed bathroom downlights can be used in all locations including wet areas and even within the most powerful shower cubicle. Once upon a time bathrooms were perfunctory spaces, lacking interest, care, or enthusiasm and housebuilders were indifferent or apathetic to fashion or trends. 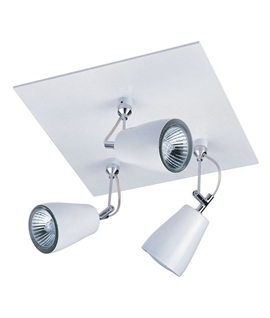 This meant many bathrooms had part tiled walls and single light fitting in the middle of the ceiling. 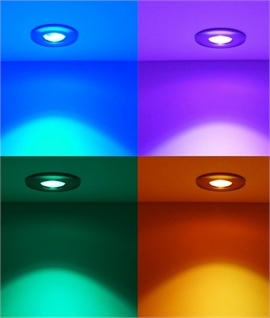 Today a greater desire exists, but before you jump in feet first give some thought to the lighting. 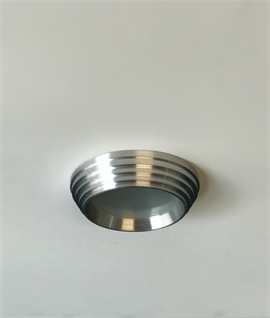 Many WCs, particularly those in swanky restaurants, have floor to ceiling tiled walls with one or two downlights directly over the sink. 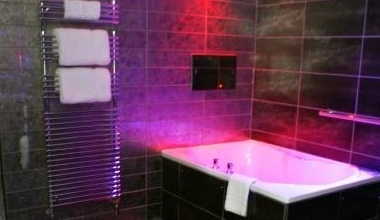 If they use dark tiles they look like caves and direct lighting at the sink is woefully inadequate and gives a very poor experience. 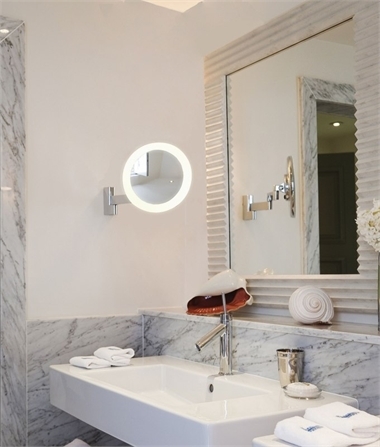 Start by looking or thinking about what lighting you have had in your bathroom already. Is it bright enough? Does it create shadows? 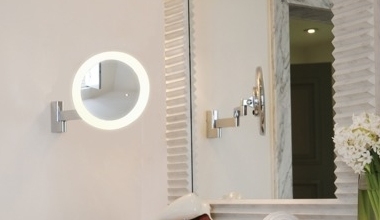 If you apply cosmetics in your bathroom do the results look as good in daylight? 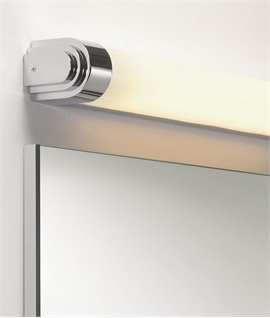 For best results why not consider an illuminated bathroom mirror or bathroom cabinet with lighting built in? 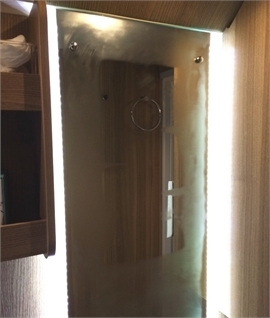 This not only provides lighting but you can hide all your toiletries inside too. 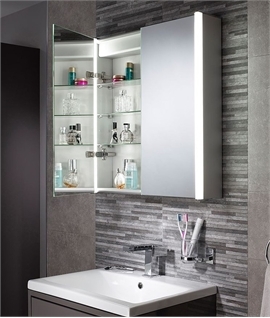 Tasks such as applying make-up and shaving are much harder to accomplish with a poorly lit vanity unit. 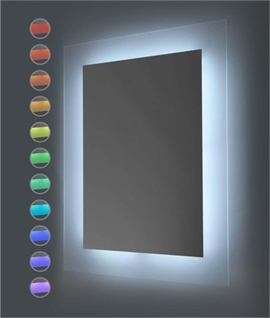 In this area, good colour-rendering lights are necessary to enable you to see yourself in a natural light whilst reducing shadows on your face. When light shines only from above or behind, you will see unsightly dark shadows under your eyes and the texture of your skin will be accentuated. 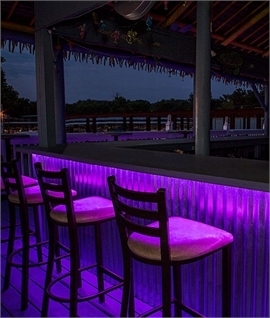 Frontal lighting is necessary to reduce both contrast and shadows. 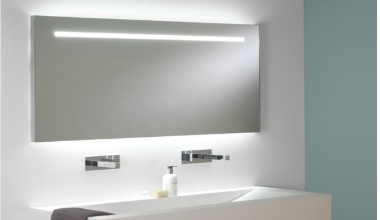 How much light is required in your bathroom? 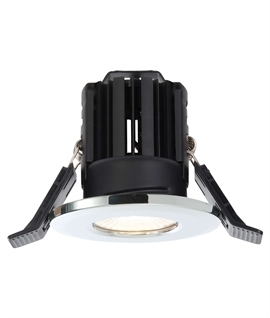 If you currently have a 60w lamp hanging from a flex you may want to use four LED downlights to create similar light levels. 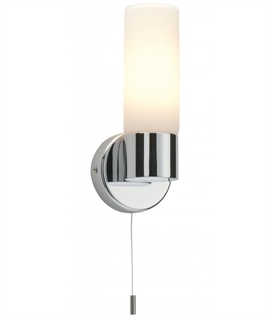 If you install too much lighting in the bathroom you can always lower the wattage of the lamps used in each fitting. Lastly Electricity, water and bare feet can be a lethal mixture. 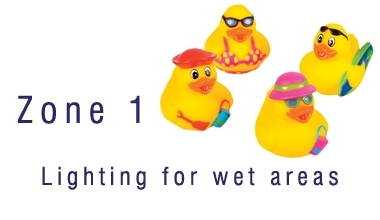 Pay special attention to current regulations to ensure the design of your wet areas are safe. 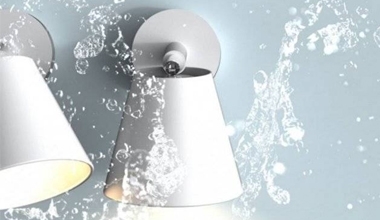 Electric shocks received in wet areas are more likely to be fatal.